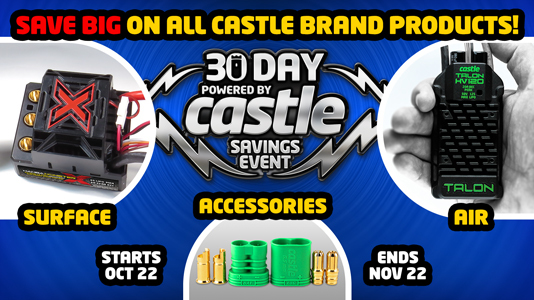 If you’re in the market for some new power accessories, be sure to check out the full line of Castle Creations products. They’re 30 day sale is in full effect and ends on November 22nd, 2015. You know you can’t go wrong if it’s green and not only are the discounts offered direct from Castle, but you can also reap these rewards at your local hobby shop as well. Previous FREE STUFF! Win a Free Dromida Vista Quadcopter RTF!